Hello everyone and welcome to our weekly coverage for SyFy’s Opposite Worlds! We have so much in store for you this season! We will be live tweeting the shows, doing exit interviews with the cast members as they are evicted each week, blogs, vlogs, prize giveaways and so much more! So make sure you subscribe to our You Tube channel! We will be introducing the cast to you all, finding out all the details of the show, and getting some good gossip all with our brand of comedy! So get comfy and enjoy the play list of our entire season of recaps above… trust us… it will be worth it! If you’d like to watch individual episodes, or use the chapter markers to skip around then watch on YouTube and don’t forget to THUMBS UP & SUBSCRIBE while you are there! 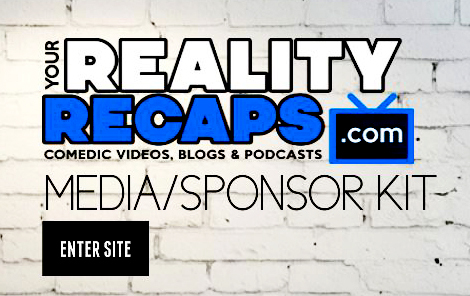 Next Article It’s Our First Daily Vlog w/ Gina Marie & Amanda from Big Brother 15! SYFY OPPOSITE WORLDS: Final Recap With JR & Frank!